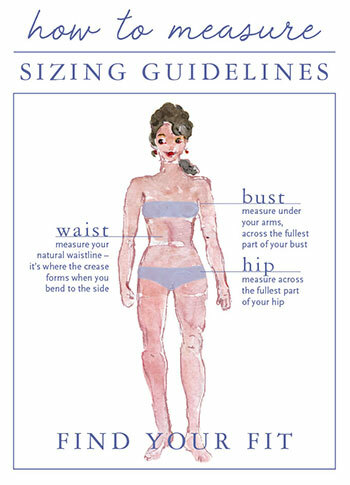 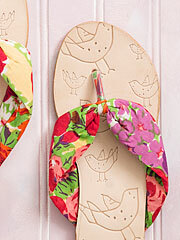 I had such a blast designing these terrifically beautiful thong style sandals! 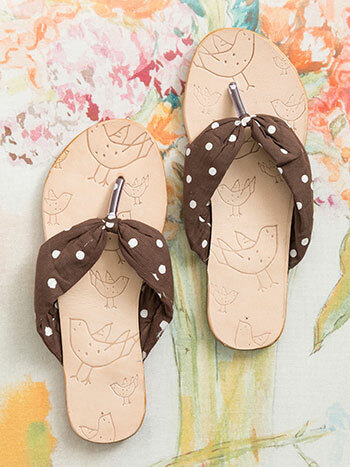 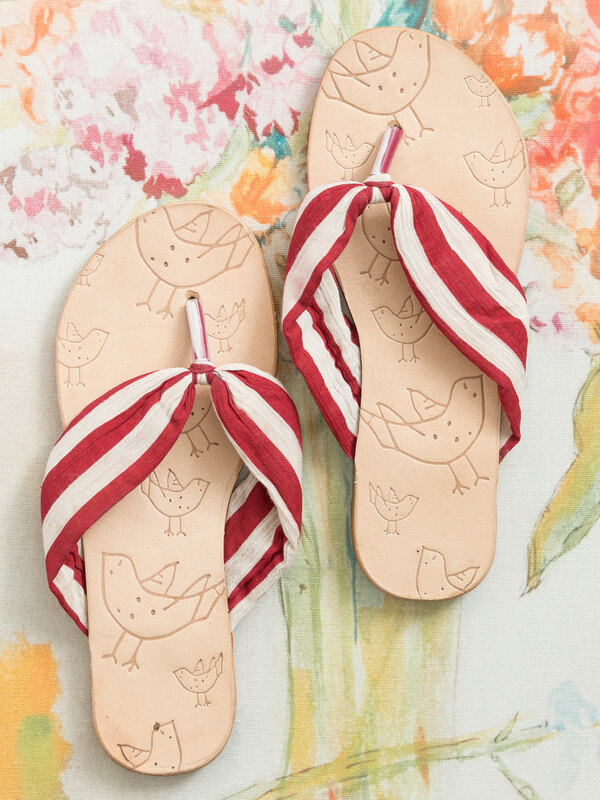 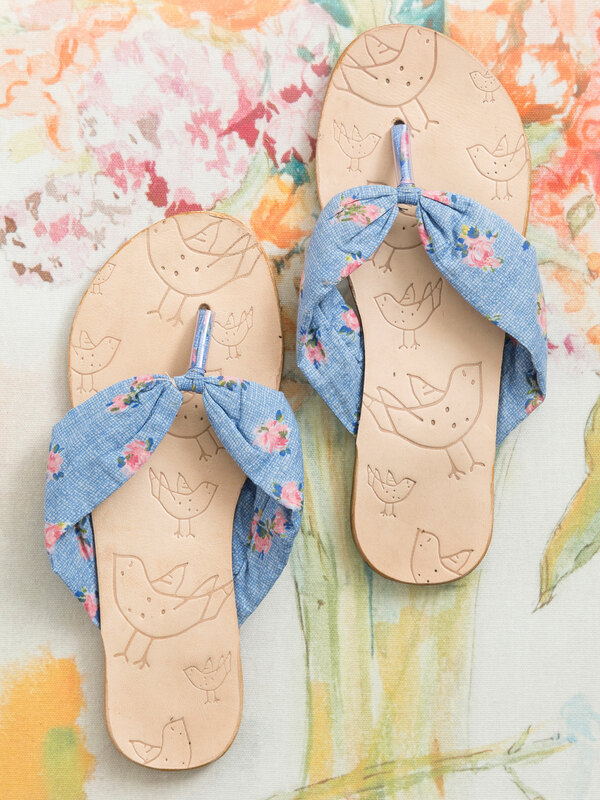 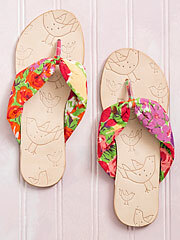 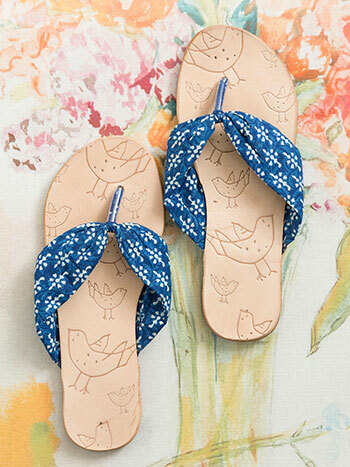 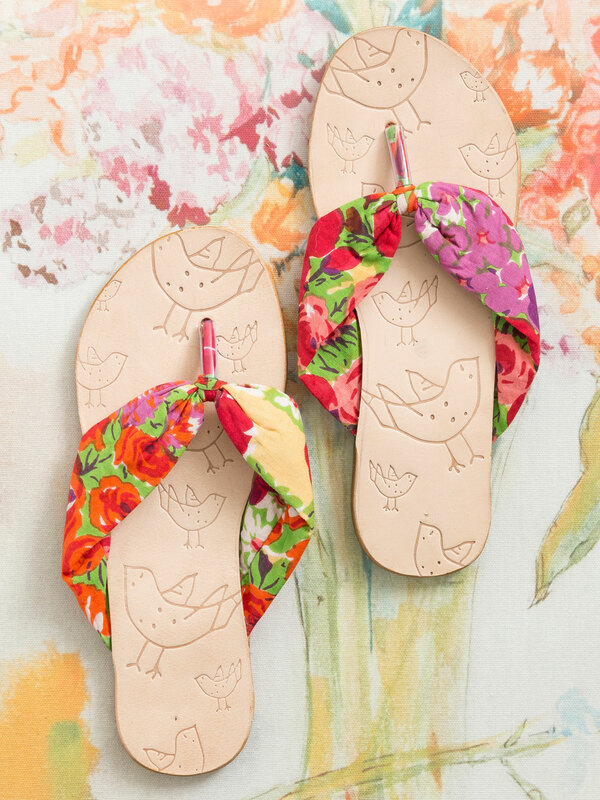 The soles are crafted in pliable leather and tenderly stamped with our trademark 'baby bird' motif. 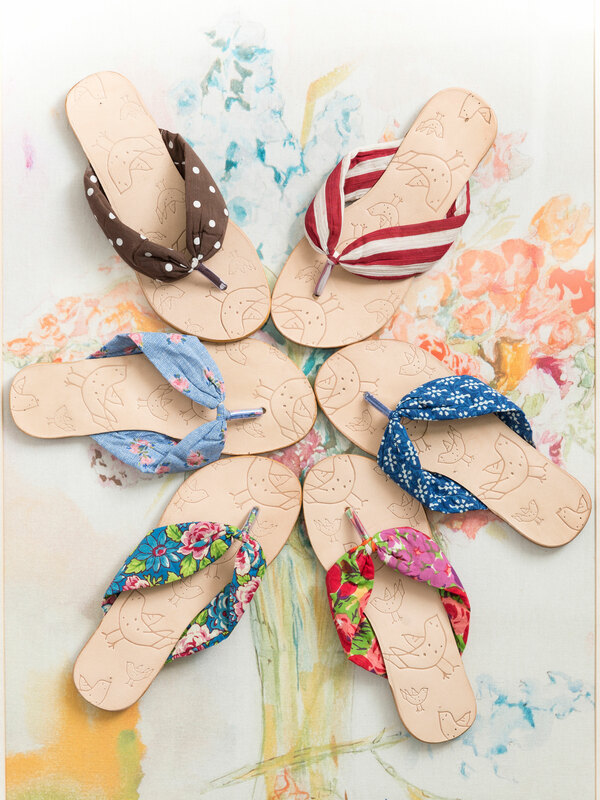 Of course, the "raison d'ètre" could only ever be to showcase our unmistakeably joyful, signature prints- look out summer, here I come!